We trudged back to the horses and rode to the inn. Rufus stayed with me all the way, as promised, perched on my shoulder. It was past dinner by the time we arrived. Caterina waited by the window for us and fussed quite a bit over our battered and weary state. She also squealed in delight over Rufus, who testily tried to convince her that he was not “cute” and got nowhere. The Innkeeper and his wife gladly took charge of the little girl and I lifted the sleep spell on her. I promised a full report in detail after I had indulged in a hot bath and a solid meal. The soak worked wonders for restoring me to myself. I returned to find a full spread laid out for us to eat. Peregrine was already working on a mutton leg. Rufus had stuffed down two bowls of fruit, going on number three. Grateful, I sat down, piled a plate and proceeded to stuff my face. Once the edge had been taken off, I filled in the innkeeper and his wife about the Vlatz and the poisoned orchard. They agreed to pass on the information to respect the Vlatz and watch out for unknown wizards. “Oh my, so it is.” She said, putting her hands on her cheeks. I looked at her closely and pulled out the portrait. Granted, a likeness could be seen. If you squinted hard. Obviously the painter had taken a few liberties. The soft brown curls, in reality were a barely manageable mess. When the sweet smiling lips pulled back, buck teeth greeted the viewer. Her laughing eyes were crossed. I blinked a couple dozen times. Luella wrung her hands. “Oh dear. I am so sorry. I did honestly mean to marry him. But when we arrived here and I met Irwin, I… well, I stayed a few days more then I intended and I realized that there could never be anyone else for me.” She gazed at her dumpy husband fondly. He looked back worshipfully. I took the portrait and noticed that liberties had been taken for Lord Kovar as well. They had refined and softened the lean, angular features to a more friendly countenance, and gave him slick, well-styled hair. I sighed. This would never do. “I respect your decision, but where are your men?” I asked. “And what am I to tell my lord?” Luella looked even more distressed and wrung her hands harder. Caterina put her arms around the poor woman. “I… I sent them on home.” She almost cried. “They stayed with me for weeks, trying to convince me to put aside Irwin but I… I couldn’t.” Now her husband joined her. All three stared down at me as though I were the bad guy. After that, Caterina wanted to hear all about Luella’s journey from Maprolous and meeting Irwin and everything. I allowed the conversation to flow around me, trying to think of a solution. By the time we had finished dessert and went up to bed, I had an idea. 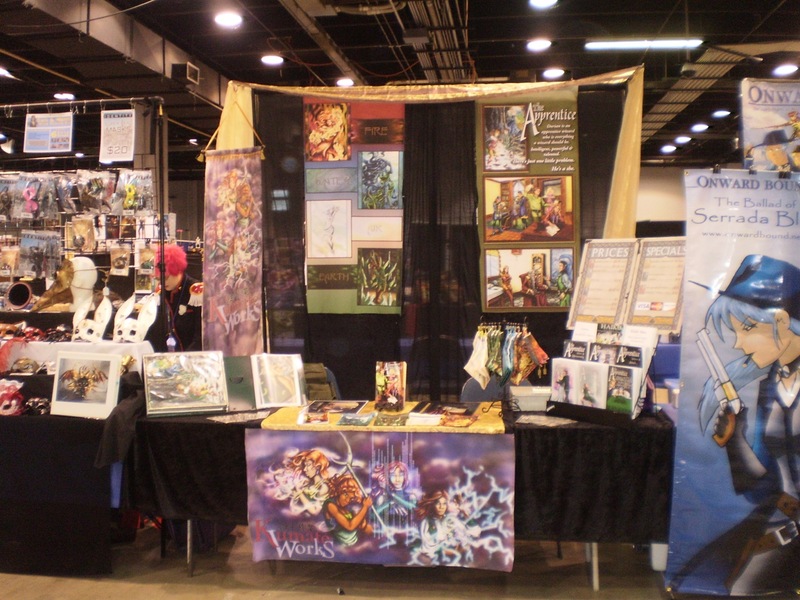 Previous Post Back from Acen!